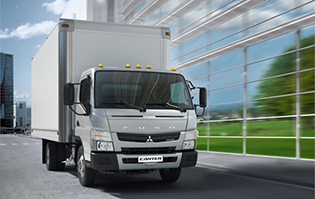 At 17,995 GVWR, the FE180’s payload capacity is the largest in the Canter lineup. 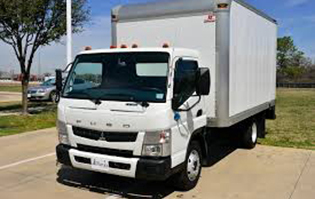 It has a rugged steel frame with yield strength of 56,565 psi. But it sure doesn’t handle like a heavyweight. Coil front and multi-leaf rear suspension, dual-caliper disc brakes front and rear with ABS, and an easy-to-grip tilt/telescopic wheel help you start, stop and steer with precision. 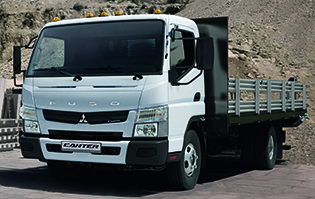 And like all Canter models, it features an exclusive dash-mounted shifter, room for three, panoramic visibility, and safe, easy entry/exit with covered, serrated steps and swing-forward doors that open 70° but feel like 90°. The best part is the FE180 comes with a 5-Year Powertrain warranty.